It’s important to understand authorization, because without it, you won’t be able to accept your customer’s credit card for payment — and that could mean lost sales. Authorization is the process of confirming whether your customer’s credit card has sufficient credit to purchase goods or services from you, and also confirms whether the card is valid. 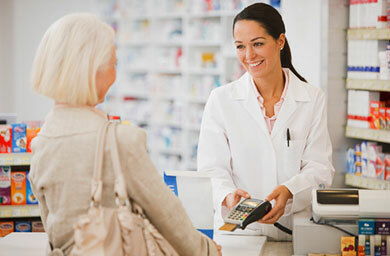 You can obtain authorizations through a point-of-sale terminal, e-commerce Web site or over the phone. 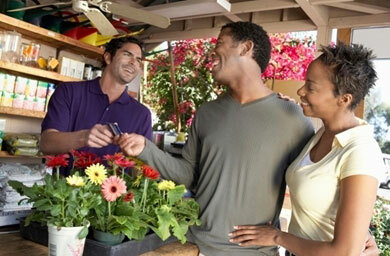 Your customer presents his or her credit card information to you in order to make a purchase. This can happen in person, over the phone or your customer may enter this information into your e-commerce site. Next, the information is transmitted to the processor (for instance, in a card-present environment, you swipe the card and enter the dollar amount, then send this information to us). Your processor forwards your request to the card payment brand such as Visa® or MasterCard®. From there, the payment brand sends your request to the card issuer (the card issuer is the bank that issued the card to the customer). The issuer will approve or decline the transaction, and this response is sent to the payment brand. The payment brand sends the response to the processor. The processor forwards the response to you (either via your point-of-sale device, e-commerce web site or we can provide it to you verbally over the phone), so you can complete the transaction. The card will either be approved and you will receive an authorization number, or it will be declined or referred. See below for an explanation of approvals, declines and referrals. Some merchants, particularly those with very large daily sales volumes, can send multiple authorization requests grouped in a batch once to several times daily, or over the phone. Approval: An approval means that the dollar amount you specified will be reserved from the cardholder’s available credit limit for future settlement. Decline: A decline means that the customer’s card cannot be used to complete the purchase. As a merchant, when it comes to payment processing, what matters to you is whether your customer is able to use his or her card or not. Because it is not your responsibility to explain to your customer why his or her card was declined, this information is not transmitted to you. If a customer wants to know the reason for the denial, he or she should use the customer service contact information on the back of the credit card to get more information. Be aware that you may receive a declined response for a number of reasons — for instance, it may be because of a temporary situation such as a customer going over his or her credit limit, or another issue, such as when a card is lost or stolen. Referral: A referral is a request for additional information (either from the merchant or the cardholder) before an authorization can be issued. An issuer may send us a referral response as a security measure. If we receive one, we will contact the issuer directly and request an authorization on your behalf. At this point, the issuer may request to speak with you or your customer/cardholder over the phone to confirm the legitimacy of the transaction before issuing the authorization. A typical example of when this occurs is if the cardholder is trying to make a purchase in a foreign country, is using his or her card more than usual in a short amount of time, or has reached the credit limit. You’ve made the sale. Depending on your business, your customer has either left your store, logged off your Web site or hung up the phone and considers the sale complete. For you, however, the transaction is still in process, since it must now be settled. Settlement is the process of managing electronic payment transactions so they can clear and be funded. 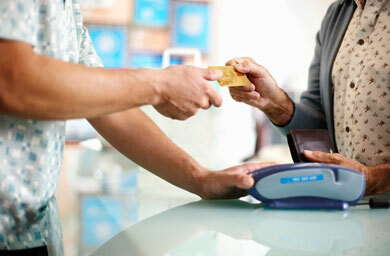 To make this happen, you, as the merchant, must present approved card transactions to your processor. We then submit those approved transactions to the payment brands for clearing through interchange. You may hear these transactions referred to as “deposit” transactions. You submit your transaction information to us. For instance, you use your point-of-sale device to trigger, or “batch”, a settlement. We forward your settlement request to Visa, MasterCard or the appropriate payment brand for confirmation with the cardholder’s issuing bank. Issues a credit to the processor so we can reimburse you for the amount of the settled transaction. The issuer then pays the processor for the transaction. Issues a debit to the issuer to charge them for the settled transaction. The issuer then posts the transaction to the customer’s/cardholder’s account. At the end of the billing period the issuer sends your customer/cardholder his or her monthly statement. 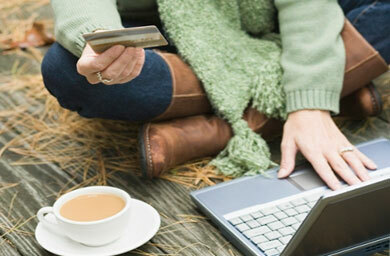 The cardholder receives his or her credit card statement and pays the bill (to the card issuer). The funding process — when the processor deposits money into your bank account to compensate you for transactions processed — is really an extension of settlement, and sometimes the terms “settlement” and “funding” are used interchangeably. In order for us to fund you as quickly as possible, you should be aware of deadlines and holidays that impact the funding process. Learn more about funding.